* Lecture by Prof. Howarth Bouis at NABI, Mohali. * NABI Celebrated 70th INDEPENDENCE DAY. * 67th Republic Day Celebrations at NABI. * Public Lecture by Dr. P.S. Ahuja on "Bioprospecting Biodiversity" at NABI on January 21, 2016. * Motivational Contact Programme for Talented School Students of Punjab. * Dr. Harsh Vardhan, Hon'ble Union Minister for Science & Technology and Earth Sciences visited NABI on 19-10-2015. * NABI celebrated 'Hindi Pakhwara 2015'. * NABI Employees take 'Sadbhavana Day Pledge'. * NABI celebrated "69th Independence Day". 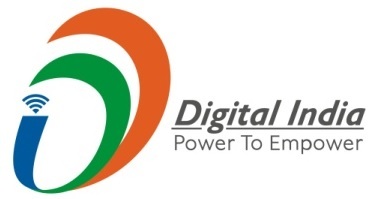 * “Digital India week" celebrated at NABI from July 01,2015 to July 07, 2015. * Brain Storming Session on “Regulatory Aspects of GM Crops, Food and Nutrition" on April 27, 2015. * NABI Celebrated its 5th Foundation Day on Feb 18, 2015. * Swachhta Shapath (pledge) and cleanliness drive at NABI on October 02, 2014. * "Hindi Diwas" celebrated at NABI on September 14, 2014.